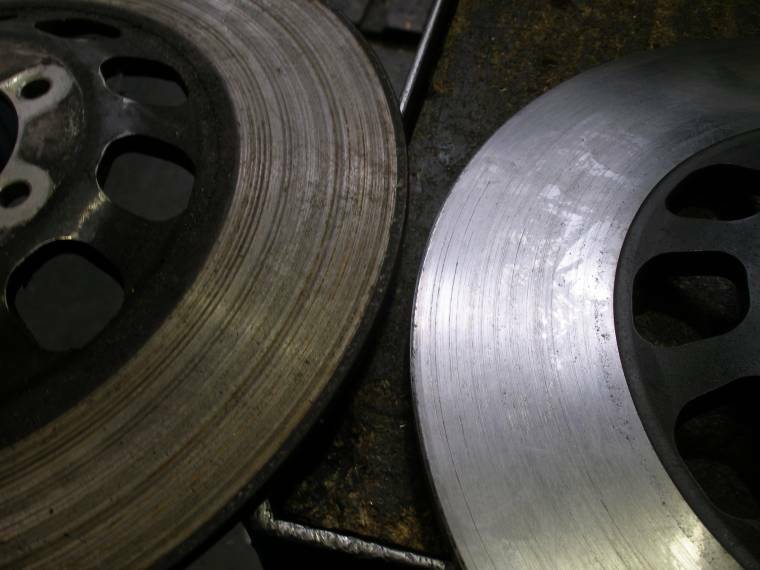 One of the discs that came with the bike is only 5mm thick and is badly worn on both sides. I can skim it but that will leave it very close to minimum tolerance. You get old when you stop having fun !!! Ok i got a 7mm,tiz a little grooved,but nothing you cant sort Del.where ya want it sent ? Discs that look bad often transform into this with just a good rub with scotcbrite.